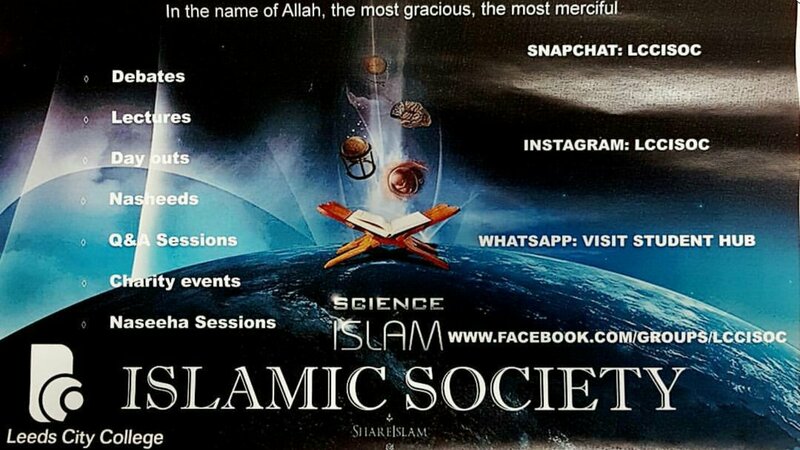 The Islamic society aims to bring the students of Leeds City College together in order to share each others knowledge. We do a wide variety of events such listening to talks from local imams and sheikh, organising charity events, nasheed sessions, Q&A sessions, debates and more! In sha Allah. All brothers and sisters studying at Leeds City College are welcome to join. 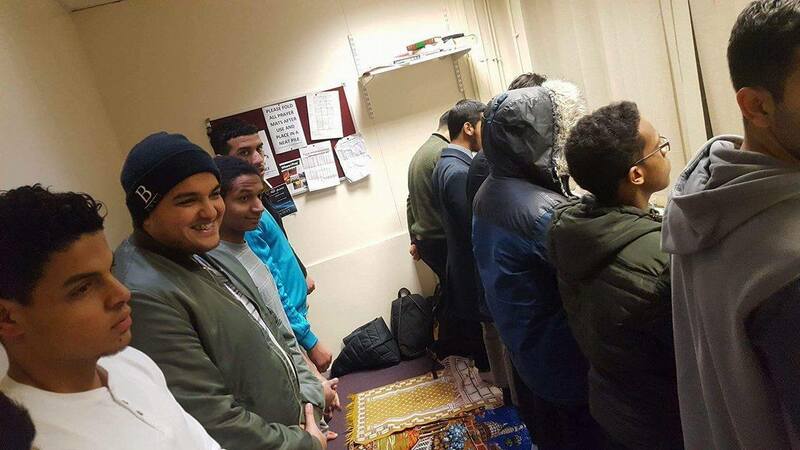 The Islamic Society hold Friday Prayers at Park Lane Campus every week at 1:00pm in room A1.62.